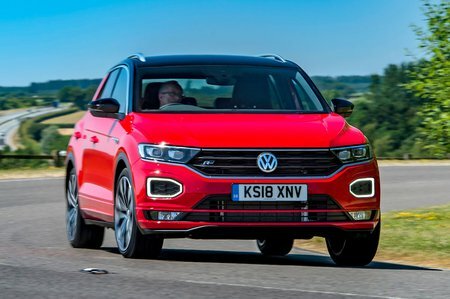 Volkswagen T-Roc S Review and Deals 2019 | What Car? Entry-level trim offers dual-zone climate control, 16in alloy wheels, front and rear electric windows, automatic lights and wipers, height-adjustable front seats and electrically operated door mirrors. You also get an 8.0in touchscreen infotainment system with Bluetooth and a DAB radio, while active safety kit includes automatic emergency braking and lane keeping assistance.